Good evening everyone! I have another Maya Cosmetics polish to show you tonight! It's Not Easy is a green (of course!) jelly polish with light and dark green matte glitters with a gold shimmer (much like the shimmer in the jellies from the Crescent City Collection). I really love this one! Of course, you know I love green so that makes it even better! I had no issues with application at all - it went on smoothly and evenly. It is a jelly so it took 4 coats for opacity (I am also showing it with 3 coats in the last photo) but that is typical for a jelly. I topped it off with one coat of Poshe and it was smooth to the touch. 4 coats in all photos except the last one where I am showing 3. What do you think of this collection? I think it's really fun and perfect if you are a jelly lover! 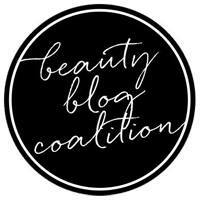 This is gorgeous Ashley! Green always looks so great on you! Really pretty green :) I love the glitter too!! 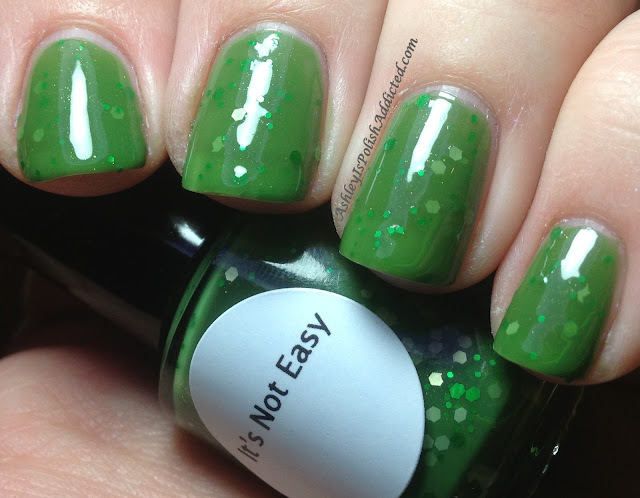 This polish is like St. Patty's Day in a bottle!